California – Stanislaus County is openly bragging through public billboards that nearly half of their population is on Medi-Cal. Medi-Cal is a program that services individuals whose income is below 138% the federal poverty level. Numerous California counties fit that description and according to a 2015 report, around 32.4% of California’s population are enrolled in Medi-Cal. Counties like Stanislaus or Merced make up some of the larger percentages of the overall population’s enrollment. 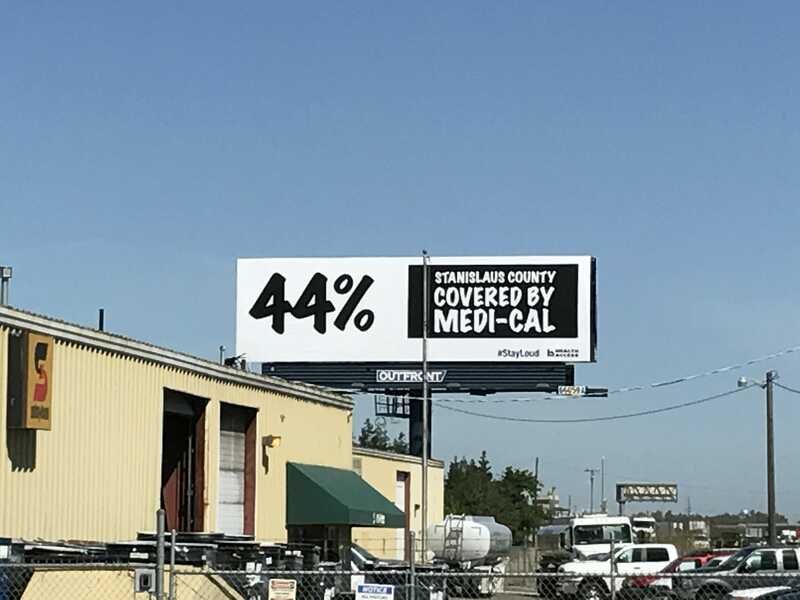 A billboard was spotted in Modesto, California in Stanislaus County that proudly announces the fact that 44% of Stanislaus is covered by Medi-Cal with a hashtag at the bottom saying “#StayLoud” in an act of idiotic “resistance”. Stanislaus County is PROUD of the fact that nearly half of their population make 138% less than the federal poverty level, that’s pitiful and embarrassing. That’s spin. That’s the inversion of logic to suit a socialist, Marxist mentality. California’s fate is in the hands of ignorant communists and it is endlessly disappointing.